Question 1: Mrs. Lakhan-Narace, would you mind telling us a little bit more about your journey, that is, where it all started to where you are now? My journey started as a chubby, reserved, self-conscious last child (allegedly spoilt) of the Lakhan family in St James who took solace in sweets, books, television and high achievement in school. The latter has continued to this day as intellectual stimulation has always given me immense pleasure and spurred on my personal growth. Along the way, my addiction to Mills & Boons (remember those romance books?) seemed to have caused me to manifest a partner who proposed in a month and got us married 2 mths later!! Together we have 2 adult children, have been involved in business together except when he took up political appointments which also presented a learning experience for me. 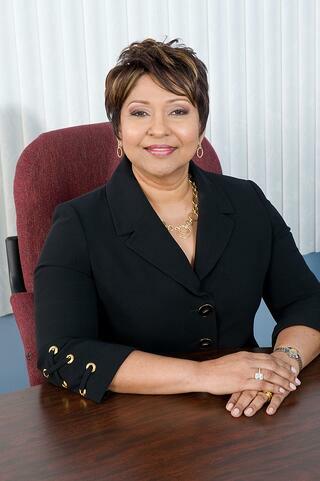 After Scotiabank, Budget Foods, and doing my Executive MBA, TRINRE provided me, as Executive Chairman, with the unique opportunity to put my learnings and experience to the task of turning around a failing company. It has been gratifying to see the company’s success unfold as in the early stages, both the company and I were under close scrutiny by the insurance industry. At the moment, I am in a place of Wonder (pun intended !) as I delve into my life purpose, face and defy society’s limiting beliefs about aging, death and dying as I anchor myself in enlightening practices and modalities that expand my consciousness. Question 2: In your journey, there must have been some lessons that really stuck with you. Would you mind sharing what some of these were? That moving towards what I want brings so much more clarity and power than running from what I don’t want. Question 3: Is there anything you would have done differently? And if you could have gone back in time and tell your younger self something that you know now, what will that be? Definitely – it would be – to hell with everyone else who try to tell me differently (including the media) – I AM love, loving and lovable, worthy and fearless!! Question 4: In your experience, what do you think is/are the most significant barrier(s) to female leadership? Question 5: Have you personally faced any of these barriers, or any others? And, how were you able to successfully overcome such obstacles? Yes to the first 2 – Self –discovery has assisted me – it is an ongoing journey as I overcome one layer of limiting patterns, another emerges like the proverbial onion with no end. Transformational education as opposed to academic plus spiritual practices and therapies have also helped. There is no magic bullet. It requires constant attention. Question 6: What inspires you and why? My spiritual Master inspires me because she was a wife and mother who made the “choiceless choice” to follow her destiny to serve the planet. Question 7: What do you think will be the biggest challenge for women to come in the future generations? Tough one – since women are generally more in touch with their feelings, they will more readily recognize that they want more out of life and to do that will require making unpopular decisions about their careers, partners, families and society as a whole as love, success, commitment and life purpose take on different meanings. Families and couples who have relationships that allow each other to grow through each other’s eyes and hearts inspire me because we so often confuse control with love. Question 8: You said that you had an early fascination for self-actualisation and the constant quest for self-realisation. 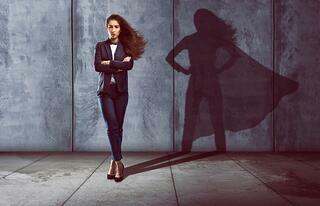 Why would you say self-actualisation is an important facet of a female leader? Self-actualisation is the realisation of one’s fullest potential, which can of course enhance every aspect of one’s life and as such would certainly shape their leadership. So I would say that it would be important to the woman who sees leadership as the fullest expression of herself. Question 9: If you can give advice to women, younger or older, as to what they can do to become Wonder Women in their own right, what would that be? Depends on your definition of Wonder Women!! Every woman was born ‘Wondrous” so to me to be a Wonder Woman is to be the Self-Actualised woman – to regain, rediscover the truth of who you are and who you are not, so that you don’t have to pretend to be what society, family, and church have acculturised us to believe we ought to be. Question 10: Why would you recommend attending the Women in Leadership Conference? These forums provide an avenue to learn new ways of being and how to bring those possibilities into your life. They also provide an opportunity for you to meet other women from whom we can learn, share and socialise. For more on the Women in Leadership Conference on July 20th 2017 and to meet and network with more amazing Wonder Women like Rani, email: conferencing@lokjackgsb.edu.tt or call: 645-6700 ext.299.